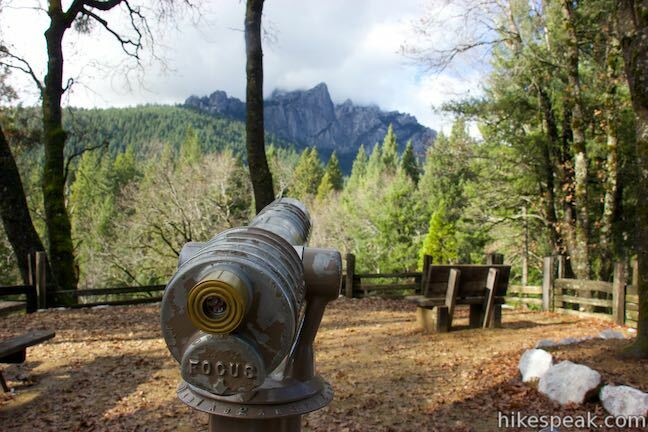 A popular destination for visitors to Castle Crags State Park is the scenic overlook at the end of Vista Point Trail. This easy half-mile round trip hike leads to a triptych of views. On your left, you’ll spot the Gray Rocks rising above evergreen ridges. On your right, there is a clear view of Mount Shasta. In the center, rise the Castle Crags, a fortress of daunting granite peaks. It’s a three-course meal of views, reached by a quick and effortless walk. Start from the parking area at the end of Vista Point Road, where a well marked trail sets out for Vista Point. The quarter-mile long trail takes a horseshoe-shaped course up to a landing on Kettlebelly Ridge. The trail starts out heading southeast, but swings around to face northwest toward the Castle Crags. At 0.15 miles, as the trail is making a curve to the right, you will pass the top of another trail on the left that descends toward the campground.  Continue up the trail, which levels out and arrives at the scenic overlook. Reaching the overlook, you will first be struck by the head-on view of the Castle Crags. The mountains rise 3,000 feet above the overlook and are made up of jagged rugged peaks. 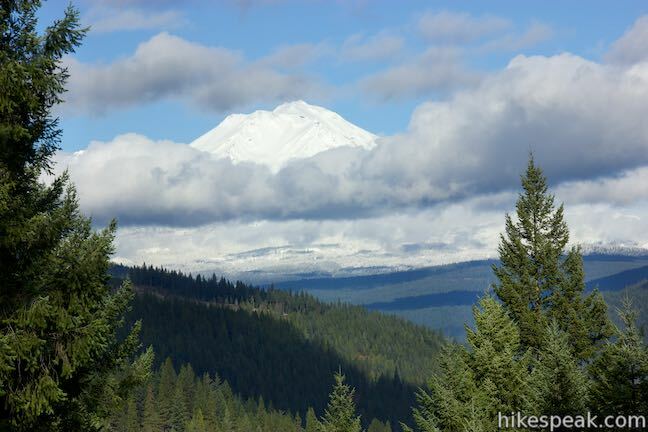 Find a large opening in the trees to your right and it will line you up perfectly for a clear views north toward Mount Shasta. This massive volcano is over 14,000 feet tall and completely covered in snow during the winter months. In geological terms, Mount Shasta is relatively young compared to the area’s other mountains, having begun forming just 530,000 years ago. There is also a gap in the trees to the left, providing a window up a canyon carved by Castle Creek. Across the canyon there are evergree ridges topped by rocky peaks known as the Gray Rocks, which look different from the Castle Crags and are actually made up of greenstone. There are picnic tables and a viewing scope at the vista point, allowing you to really enjoy the surroundings. Vista Point Trail is wheelchair-friendly and gains 50 feet in a quarter mile, with a typical grade of 4% and a typical width of 4 feet. Dogs and bikes are not allowed on trails in Castle Crags State Park. 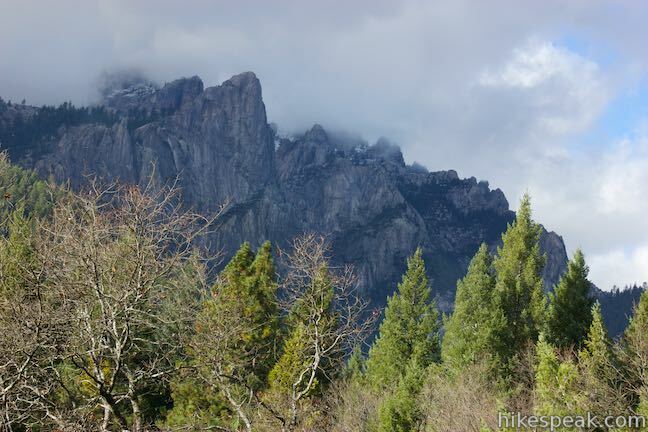 There is an entrance fee for Castle Crags State Park ($10 as of 2015). This hike is the only dog-friendly trail in Castle Crags State Park. Directions:Take Interstate 5 to exit 724 in Castella (located 14 miles south of Mount Shasta City and 44 miles north of Redding). At the bottom of the offramp, turn northwest onto Castle Creek Road. Drive 0.3 miles and turn right into the park entrance. Inside the park, bear right and drive almost two miles up Vista Point Road to the parking area at the road’s end where the trail begins. This road goes through the campground before heading up Kettlebelly Ridge. You will pass the start of the longer Castle Trail just before reaching the parking area for Vista Point Trail.